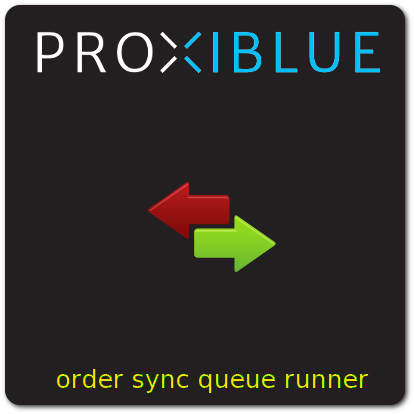 Simple - do the sync process outside the order process, via a cron. I already had a couple of clients that used the 'sales_order_place_after' event to effect sync to their 3rd party systems, each using a custom built magento module to do the sync. The goal of this module was not to replace those modules, but to make them sync outside the standard magento order process. This module listens to the 'sales_order_place_after' event, and grabs the order id (and some other data), and places it in a database table. A order sync que system, which successfully syncs orders to external systems. Any module (or observer) that used to listen to sales_order_place_after can be adjusted to listen to 'sales_order_place_after_que' instead, with no further code changes. The que event is identical to the original sales_order_place_after event. Nothing fancy, and no manual sync buttons (yet) It will retry any orders that are mot marked as synced, or until they are marked as synced. There is a new menu option under 'Oders' whuch allows you to view the sync status. There is a weekly cron that cleans the table of all synced orders, thus preventing it from getting to large.